The Invisalign treatment process will vary from person to person, depending on a number of factors. Here’s what might affect it. Every patient is different so the duration of your unique treatment process can only be estimated accurately by your dentist or orthodontist. Not surprisingly, the main consideration in determining the length of your treatment is the severity of your misalignment. If your teeth are severely misaligned, it will take longer to straighten them. This is true for braces too, but with Invisalign in particular, the severity of your misalignment will determine the amount of time treatment will take to complete. If we assume you have 16 sets of aligners. You have to switch them out every two weeks, so that’s two sets of aligners each month. Since 16 divided by 2 is 8, that means your treatment will take 8 months. You are largely responsible for keeping your treatment on track. The estimation that your dentist gives you when you begin treatment, regarding how long it will take, is calculated under the assumption that you will wear your aligners as prescribed. For treatment to stay on track you must wear your aligners full time, every day. That means wearing your aligners 22 hours a day every day. If you choose not to wear your aligners full-time chances are that your treatment will take significantly longer than originally estimated. A supplementary orthodontic device called Acceledent can help make the orthodontic treatment progress more quickly. Acceledent can accelerate the movement of teeth by up to 50% by using cyclic forces and soft pulse technology. Your dentist can let you know if AccleDent is right for you. 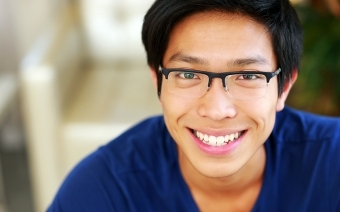 Do you have more questions about the Invisalign process and what to expect? Contact a Straight Smile Centre near you. Invisalign makes it easy and convenient to achieve the smile you've been dreaming of. And since the aligners are nearly invisible when worn, very few people will notice that you're undergoing treatment.